The westernmost province of British Columbia is filled with some of the world’s most breathtaking landscapes, from rugged coastlines, beautiful beaches and remote islands to lush rainforests, cascading waterfalls and dramatic mountain peaks – all inhabited with abundant wildlife. Much of it can be found inside B.C.’s beautiful national parks, including these. Vancouver Island, accessed via a scenic 90-minute ferry ride from the city of Vancouver on mainland British Columbia, may not offer a tropical getaway, but for nature and wildlife lovers it provides one of the world’s best escapes. The rugged west coast is home to Pacific Rim National Park. Made of up three distinct units, the Broken Group Islands, Long Beach and the West Coast Trail, it offers everything from long, beautiful stretches of sand and rocky shoreline to old-growth coastal temperate rainforest, important First Nation archaeological sites and lots of wildlife, including whales, bears and countless bald eagles that soar through the skies and sit perched in the trees searching for a meal in the water below. Each unit has something unique of its own, like Long Beach, a 10-mile stretch of unspoiled, undeveloped coastline that sits against a backdrop of lush rainforest with mountains beyond. The longest stretch of sandy beach on the island’s west coast, this is the place to go for surfing, kayaking, building sand castles, beach combing, or just enjoying quiet contemplation, while mesmerized by the crashing waves of the Pacific, taking in glorious sunsets at the end of the day with colors splashed across the glistening expanse of the water. Up until about 1960, the “Long Beach Hideout” was virtually unknown to the world, but when the road was built across the island’s width, it become an edge-of-the-world kind of spot, attracting hippies, draft dodgers and surfers. While that changed when the area became part of a national park in 1970, the laid-back atmosphere remains. Just south of the town of Ucluelet, with its village home to a variety of eateries serving local delights like salmon pie and fish ‘n’ chips, along with independent shops that sell First Nations carvings and jewellery, as well as Murano glass and unique amber jewelry, is the Broken Group Islands. Made up of over 100 small islands in the center of Barkley Sound, accessed by watercraft only, they provide the ultimate opportunity for cruises among the calm waters as well as some of the world’s best wildlife watching, including whales, bears, sea otters, harbour seals, and more. The West Coast Trail unit is in the southernmost section of the park. It includes a 47-mile stretch, winding through magnificent rainforest scenery between Port Renfrew and Bamfield. Originally built to help rescue mariners who became shipwrecked, the “Shipwreck Path,” is a challenging trek meant for advanced hikers or backpackers, taking about six days to complete, meandering by spectacular beaches, waterfalls and sandstone cliffs. 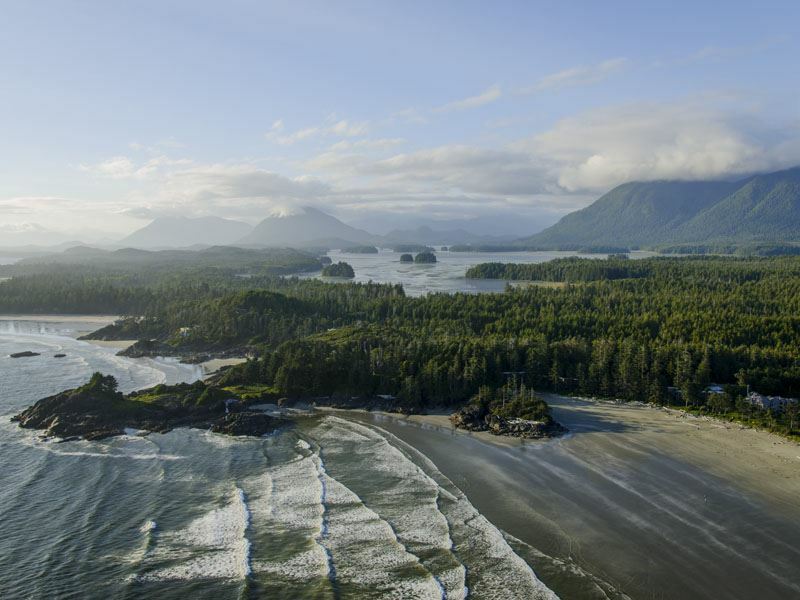 The picturesque town of Tofino sits at the park’s north end, a village hub for the long series of beaches along the coast. It serves as a popular gateway not only for surfing but for hikes through the dense rainforest, with 800-year-old cedar trees lining a wooden boardwalk. This is a departure point for boat trips into the protected bays of Clayoquot Sound, where whales, including gray, orca and humpback whales can be seen passing along the coast, and black bears gather to feed on shellfish along the shore. Located off British Columbia’s southern coast, Gulf Islands National Park protects part of the southern Gulf Islands, a collection of islands and islets that enjoys the only Mediterranean-type climate in all of Canada, with warm, dry summers and mild, wet winters. 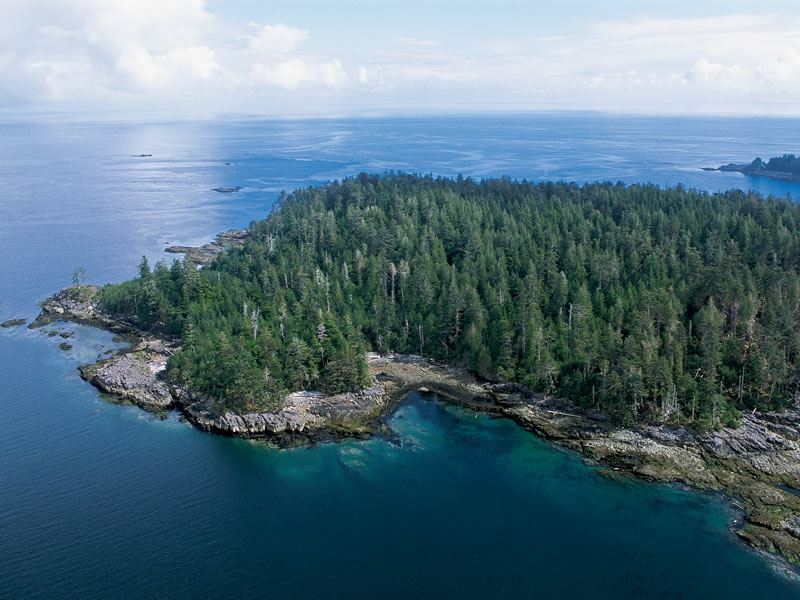 The park itself is home to 15 of the islands, reefs and over 30 smaller islets, all rich with a stunning diversity of plant, bird and marine life, including orca whales. Much of the park is spread out over 270 square miles of sea that separates mainland Vancouver from the capital city of Victoria on Vancouver Island, with part of it under water. 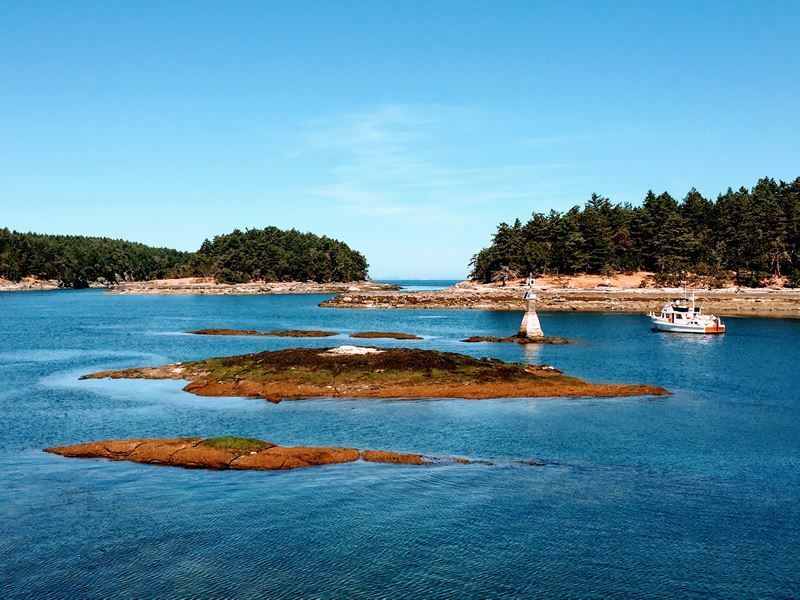 It includes some of the larger southern Gulf Islands, like Mayne, Saturna, North and South Pender, which can be accessed by BC Ferries, while the smaller islands can be reached by kayak, water taxi or private boat. In addition to relaxing among the scenery, a variety of recreational activities can be enjoyed here, like fishing, boating, kayaking, diving and camping. One of the most popular things to do is to join a kayaking tour, or rent a kayak and head out independently, paddling the sheltered waterways through the enticing maze of islands. Along the way, watch for the gray, humpback, minke and orca whales that inhabit the waters - you may even be treated to a spectacular performance as they leap through the surface as if to welcome you to their home. Hiking is a great way to explore the land, with everything from shoreline trails along the beach to uphill climbs like the hike up Mount Norma on South Pender Island that will reward you for the effort with a 360-degree view of the park and beyond. 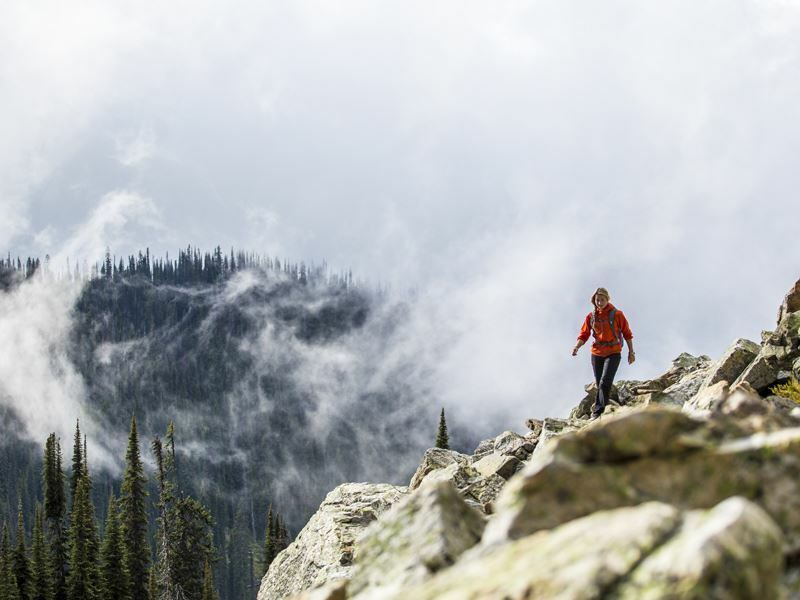 While Mount Revelstoke is relatively small for a national park, covering 100 square miles nestled in the Selkirk Mountains, it packs a punch when it comes to scenery and diversity. It showcases everything from old-growth rainforest filled with giant, 1,000-year-old red cedars and pine trees as one of the few inland temperate rainforests in the world, to steep, rugged mountains and a remarkable array of plant and animal life. It’s one of the few places in the country where you can drive into a subalpine meadow, via the Meadows in the Sky Parkway. It travels from an elevation of over 1,540 feet on the Trans Canada Highway to more than 6,020 feet at Balsam Lake. Winding 16 miles uphill, it winds through cedar, hemlock, fir and spruce forests to the famous wildflower-filled subalpine meadows, with colour splashed across mountainsides, including everything from purple arctic lupine and heather to fiery red Indian paintbrush. Keep an eye out for birds like hawk owl, boreal chickadee and blue grouse as well. While a scenic drive here is unforgettable, the park may best be explored on foot with miles of hiking trails that include glimpses of dramatic mountain peaks and active glaciers. The Giant Cedars Trail passes through a stand of ancient western red cedars, while the Skunk Cabbage Boardwalk Trail meanders through jungle-like wetlands, the park’s top destination for bird watching, with up to 50 species that can be spotted in early summer. The dense forests are home to all sorts large mammals that make the park a wildlife lovers’ dream, including black and grizzly bear, moose, mountain goat, mountain caribou and more. A park filled with contrasts, Kootenay National Park lies across the southwestern slopes of the Canadian Rockies in the southeast region of British Columbia. 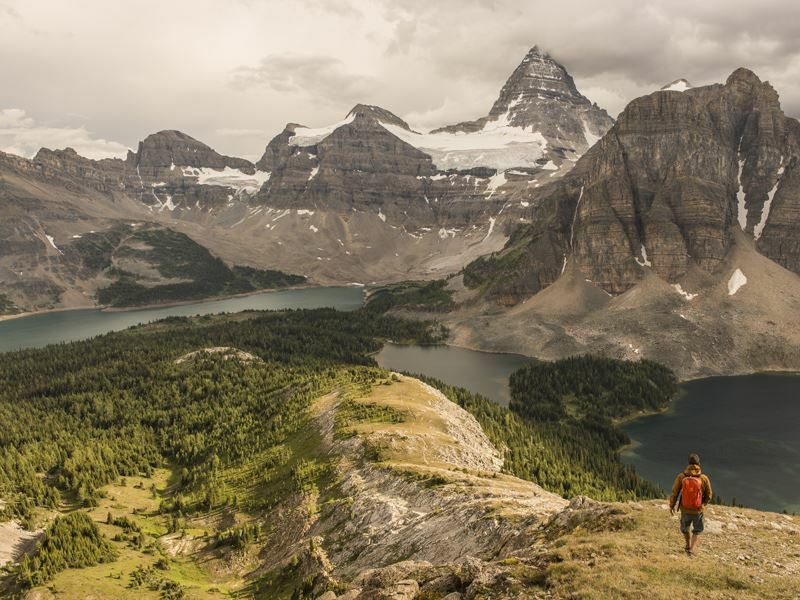 Part of the Canadian Rocky Mountain Parks World Heritage Site, along with Banff, Jasper and Yoho, just some of its highlights include Marble Canyon, Radium Hot Springs, and western North America’s spine, the Continental Divide. Soon after entering the park you’ll reach the narrow, 200-foot-deep chasm that cuts through the limestone, with a short trail snaking over and through the canyon, bridging its depth in several places. The Paint Pots are just minutes from here, where cold spring water bubbles up among the yellow and red clay creating brilliantly coloured pools. Take a hike to discover magnificent vistas around nearly every corner, including rushing waterfalls, and then soothe your muscles in the warm mineral-rich waters of the springs in Sinclair Canyon that range in temperature from around 37 to 40 degrees Celsius. The cool pool is a fun place to splash around, complete with slides for the kids, while the onsite Pleiades Spa offers an extensive menu that includes a variety of massage like Hot Stone, Swedish, Lomi Lomi, Cranial Sacral, Thai-Yoga, Deep Tissue, Chakra Aromatherapy and more. 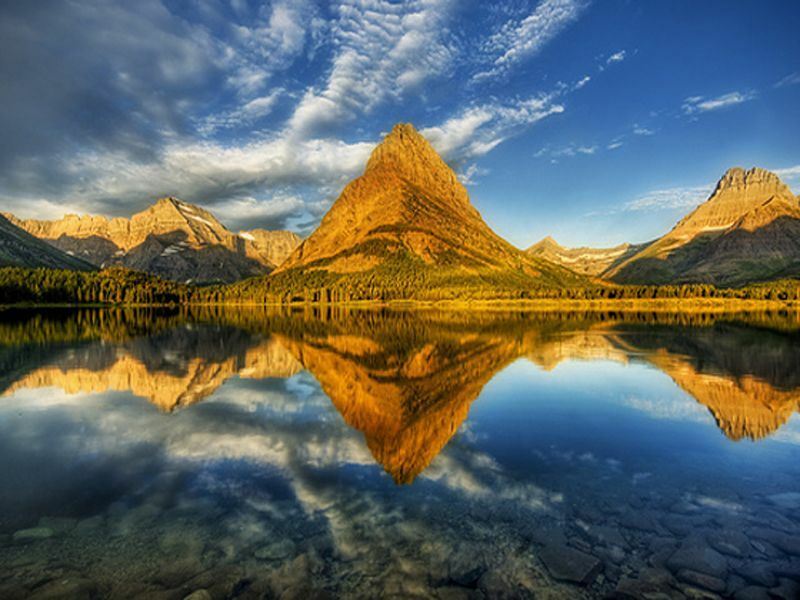 Just east of Mount Revelstoke National Park, Glacier National Park is surrounded by dramatic mountain ranges and filled with multiple icefields, glaciers and waterfalls in one of the region’s wettest areas, providing an especially spectacular wonderland of nature. 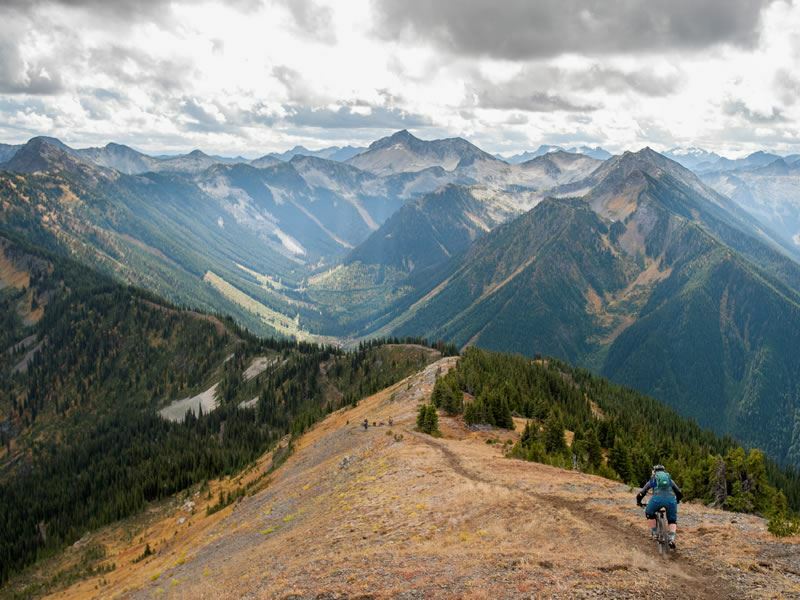 Get a glimpse of the latest Ice Age on the Rockgarden Trail which showcases moss-covered boulders that managed to survive the erosive effects of the vast glaciers and melting waters, while offering jaw-dropping viewpoints of Rogers Pass. This is also home to some of the region’s rich history, a place where in 1881 Major A.B. Rogers arrived to find a route for the Canadian Pacific Railway through what was considered then to be ‘impenetrable peaks.’ The Rogers Pass National Historic Site is the cultural heart of the park, where you can explore the old stone ruins of a former mountain resort that was accessed by horse-drawn carriage. No matter where you are here, keep an eye out for mountain goats and black bears that roam through this wild landscape. If you’re up for the challenge, the three-hour trek up Glacier Crest Trail offers views of stunning glaciers that glisten under the summer sun. This aptly named park refers to a Cree expression of “awe and wonder,” tucked into the western slopes of the Canadian Rockies. The ultimate playground for hikers, get out on foot to gaze up at the jagged mountain peaks, countless waterfalls, massive glaciers and soaring rock walls. 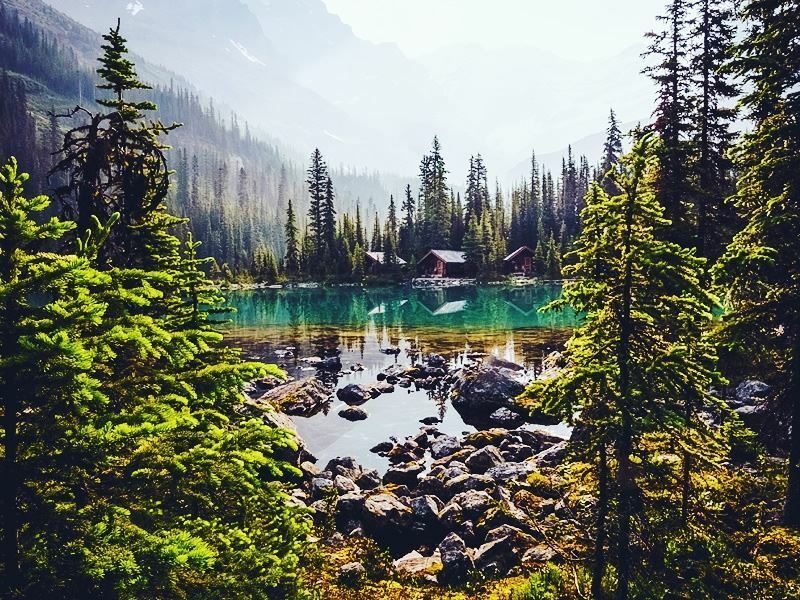 You’ll find everything from short, rewarding treks to Wapta Falls, the largest waterfall in the park at 100-feet-high and 500-feet wide to easy strolls around Emerald Lake and multi-day hikes, like the two-day, just over 10-mile roundtrip hike to Twin Falls that winds through the woods, following the Yoho River past Laughing Falls before reaching the majestic double cascade. There are some gorgeous scenic drives in the park too, including Yoho Valley Road which heads into Yoho Valley where the Yoho River runs through, climbing a narrow series of switchbacks for a variety of perspectives of the Spiral Tunnels, one of the top attractions here, culminating at Takakkawa Falls which tumble over sheer rock walls, plunging more than 800 feet. The park also hosts the Burgess Shale fossil beds, half-billion-year-old, remarkably detailed fossils of prehistoric marine life that can be viewed via a guided hike, led by expert interpreters for a fascinating look at our planet’s ancient past. For an unspoiled wilderness experience you won’t soon forget, head to Gwaii Haanas National Park Reserve, more often referred to as the Gwaii Haanas. This remote collection of 138 islands, formerly known as the Queen Charlotte Islands, is home to dense forests and unique wildlife that can’t be spotted anywhere else, including the rare Haidi Gwaii black bear. Take a trek through the lush forest for the chance to witness these beautiful creatures, or head into the sky for a bird’s-eye view by embarking on a helicopter tour. Not only will you get an incredible vista of the landscape below which includes Sitka spruce, giant red cedars and centuries-old totem poles, but often, the bears that roam along the rugged shoreline and through the trees. The surrounding water is filled with marine life, providing opportunities to watch whales like orca and minke along with the occasional fin, sein and other whale species. There are lots of Steller sea lions, harbour seals, dolphins and porpoises commonly spotted as well. Look down into the water and marvel at the leafy kelp forests, schools of rockfish, and, with luck on your side, the giant Pacific octopus. During low tide, peer into the tide pools along the shoreline to discover a myriad of colourful life, from periwinkle snails to starfish and shore crabs. By joining a guided kayak trip, you’ll have the chance for close encounters with the animals that inhabit the ocean waters while paddling around hidden coves, sea caves and the tiny islands that dot the region. The skies are full of life too in this bird watcher’s paradise, including horned and tufted puffins, bald eagles and peregrine falcons.